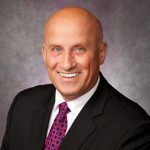 As the Voice of business the Chambers mission is achieved through the hard work and dedication of our members, Board of Directors and Staff, who work in partnership with the community. 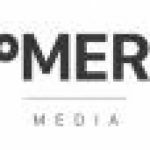 Our company’s business listing on the Qualicum Beach Chamber of Commerce’s website has single-handedly been responsible for countless business contacts that we wouldn’t otherwise have made. The return on investment has been clear- If you’re in business in Qualicum Beach, it definitely pays dividends to be a member. 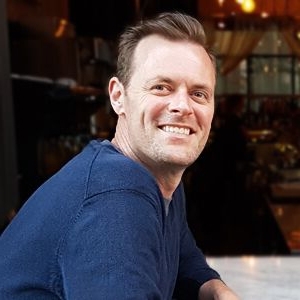 -David Michels, Director, Geeks on the Beach Web Agency Inc.
Visit our directory to learn more of what beautiful Qualicum Beach has to offer you! 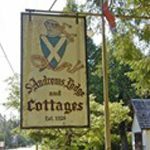 250-752-6935 -	B&B located in the heart of Qualicum Beach. 250-752-6671 -	Our cabins are just steps away from the beach. 250-248-4341 -	Black Press is home to some of the oldest, most established newspapers in B.C. and Alberta. Geeks On The Beach Web Agency Inc.
250-248-0778 -	Web Design, SEO & More! 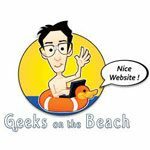 Geeks on the Beach • Web Design for Qualicum Beach and Parksville • SEO, Graphic Design, Online Marketing, E-Commerce, WordPress, Joomla and much more! 250-752-8055 -	Family dining in a casual atmosphere. 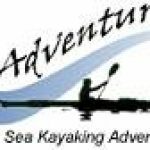 250-248-4334 -	Kayak tours for Qualicum and Parksville areas. 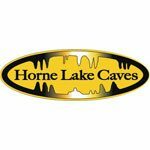 250-248-7829 -	Explore the Horne Lake Caves with guided and unguided tours. 250-752-9281 -	Qualicum Beach's very own grocery store. 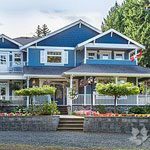 250-240-7321 -	Helping you to find the perfect home in Qualicum Beach. 250-228-4224 -	Glenda Sweet - local real estate agent servicing Qualicum, Bowser, Errington and other areas. 250-248-1071 -	Vivien Sears is a seasoned Professional Real Estate Agent serving the Oceanside area of Vancouver Island. 250-752-2466 -	Realtors/Real Estate/Property Management. 250-240-7584 -	Homelab Real Estate Group provides real estate services that include home staging, property brochures and more. 250-927-7653 -	For a complimentary market evaluation of your home, please call Les Pockett, at Royal Lepage Parksville Qualicum Realty. 250-228-4224 -	Realtors/Real Estate/Property Management. 250-752-6926 -	Realtors/Real Estate/Property Management. 250-752-6944 -	Helping you find the mortgage that you need. Cindy Riera - Personal Real Estate Corp.
250-752-2466 -	For real estate listings in the Qualicum area and beyond. 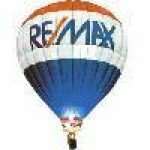 250-248-1071 -	The realtors at RE/MAX First Realty are known for their experience in the business, their high level of achievement and having an enthusiastic attitude. 250-752-4300 -	Banking services located in the Qualicum Beach area. 250-937-9455 -	Katherine Wilk provides real estate services in Qualicum Beach and the surrounding areas. 250-228-3428 -	Realtor located in Qualicum Beach, BC. 250-752-2466 -	Realty Services in Qualicum Beach. 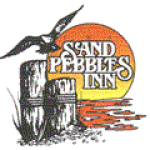 250-752-6974 -	The Sand Pebbles Inn boasts a unique, private courtyard area as well as panoramic ocean views. 250-723-8313 -	Explore the Port Alberni inlet with Lady Rose Marine Services. 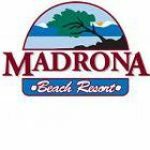 250-248-5503 -	Nestled along the shores of spectacular Rathtrevor Beach, Madrona Beach Resort is the perfect setting for your next Vancouver Island getaway. 250-752-5776 -	The Crown Mansion in Qualicum Beach offers luxurious accommodations within the fully renovated boutique hotel. 250-752-6914 -	Qualicum Beach Inn has beautiful waterfront views, as well as in house dinning at Cview Restaurant. 250-248-6612 -	Our Oceanside Parksville accommodation is in a prime location, right next door to the world famous Paradise Mini Golf and Fun Park. 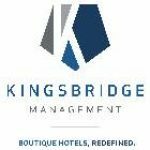 250-886-7194 -	Kingsbridge Management is a full service hotel management company serving clients in Canada, US and UK. 250-752-6661 -	Ocean front hotel with a beautiful garden and viewing area, located in Qualicum Beach. 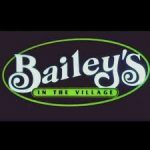 250-752-9544 -	Our 7 acre site offers lots to see and do plus a great location to experience the Parksville/Qualicum Beach area. 250-703-5000 -	An 871-Acre residential golf community in the heart of the Comox Valley in Courtenay, BC. 250-752-9252 -	Hotel located alongside the waterfront of Qualicum Beach. 250-248-8333 -	Our Parksville resort hotel offers beachfront accommodations and onsite dining all centered around stunning views of Parksville beach. 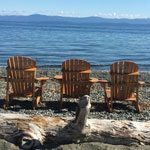 250-752-6652 -	Lodges and Cabins Located on the edge the Beach in picturesque Qualicum. 250-248-3424 -	Located on Vancouver Island in British Columbia, Beach Acres Resort offers an ideal get-away, any time of year. 250-752-6901 -	Shorewater Resort and Condominium suite rentals in Qualicum Beach, BC. 250-752-2442 -	A beautiful and lush 12 acre site bordering the Little Qualicum River on beautiful Vancouver Island. 250-752-3375 -	Offering a strong Real Estate presence on Central Vancouver Island. 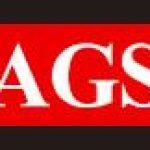 250-248-4251 -	AGS Business Systems specializes in simplifying the intricacies of workplace. 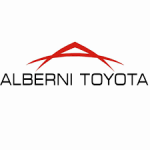 250 723-9448 -	The first Toyota dealership came to Port Alberni over 40 years ago and has had several owners over the years, operating as Echo Toyota on the corner of 10th Avenue and Maitland Street. 250 752-7524 -	Established in '98 and located in the seaside town of Qualicum Beach, Arbutus Dental Clinic's team includes a dentist, five administrative staff, five dental assistants and five dental hygienists. 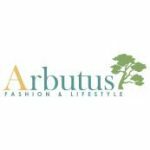 Arbutus Fashion & Lifestyle Ltd.
250 738-9008 -	Fashion and Clothing store located in the downtown of Qualicum Beach. 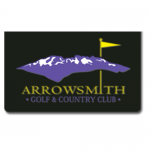 250 248-4458 -	The Arrowsmith Agricultural Association (AAA) is a registered charity and non-profit society with roots back to 1913, when district farmers held the first Coombs Fall Fair to showcase local food crops and livestock. 250 752-9727 -	18 Hole Golf Course located roughly 10 minutes from Qualicum Beach. 250 248-5021 -	We are BC’s first choice in moving companies in Nanaimo. 250 752-7584 -	Your local stop for baked goods, coffee and much more! 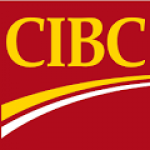 250 752-1242 -	Bank Services located in Qualicum Beach, BC. 250 752-7072 -	Chartered Professional Accountant in the Oceanside Area. 250 752-4470 -	The Village Theater located in the heart of Qualicum Beach. 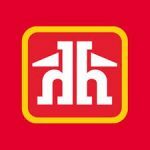 250 752-8326 -	Dollar Store located in Qualicum Beach, BC. 250 752-6968 -	Bayview Dental & Implant Center is an established clinic offering a full range of general dental and cosmetic procedures, specializing in dental implant rehabilitation. 250 240-0394 -	Exclusively using Kevin Murphy products—microcultivation, organic growing practices, ecologically sound wild harvesting techniques. Everything we do is focused on being a meaningful presence for every member of our community. 250 752-0301 -	Local cuisine restaurant located in Qualicum Beach, BC. 250.752.6926 -	Since starting her professional Real Estate career in 2005, Brenda has consistently been one of the top 5 realtors in Parksville and Qualicum Beach. 250 752-5661 -	Chartered Professional Accountant in the Oceanside Area. 250 338-8564 -	Budget Blinds serving the Comox Valley, Oceanside area and Nanaimo. 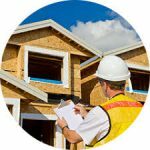 Buy Secure Home Inspections Inc.
2509379843 -	Home inspections in the Oceanside area. 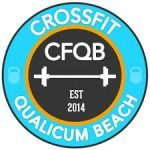 250 594-9990 -	CrossFit is a fitness regime that introduces you to a wide variety of functional movement patterns performed in a way that is constantly varied and with relatively high intensity. 250 738-0522 -	Welcome to one of Qualicum Beaches favorite boutiques, COVET, located at 702-a Memorial Ave.
250-752-0866 -	At Coombs Junction Signs you get visual communications solutions including sign and graphic consultation and design / production services. 250 334-2628 -	Serving Vancouver Island & the BC Lower Mainland since 1991. +1 888-741-1010 -	Coastal Community Credit Union (CCCU) is the largest Vancouver Island-based financial services organization and the 23rd largest credit union in Canada when measured by asset size. 250 724-7625 -	At Chances RimRock we like to believe we can showcase the beauty and magic of the west coast rainforest to our guests in an unexpected indoor environment. 250.382.4221 -	Discover Victoria at its finest through an authentic local experience in the heart of downtown. 250-739-0236 -	Whether your move is local or long distance, residential or commercial, or even just one specialty piece, Clydesdale is your personal work horse. A team of work horses, really. 250 752-6665 -	At home, at work, we are increasingly engaged in a connected, electrified world. 250 752-7224 -	At CruisePlus, we’re more than just a travel agency, we’re your partner in adventure for all of your holiday needs throughout every stage of your travelling lifecycle. 250 740-6611 -	Research facility located in Deep Bay, in Partnership with Vancouver Island University. 250 287-7008 -	Campbell River’s premiere whale and bear watching destination. 888-399-3366 -	The CANADIAN NATIONAL ASSOCIATION of REAL ESTATE APPRAISERS is a national, not for profit, independent association that licenses, certifies, and regulates real property appraisers in Canada. 250-724-1241 -	The Community Futures of the Alberni Valley. Divine Elements Gift Store Inc.
250-594-9495 -	Metaphysical Bookstore & More located in Qualicum Beach. DoStuff is a network of local media properties run by local teams in 20 cities. 250 752-9833 -	Local department store. With two locations in the Oceanside region. 250 752-4266 -	Chiropractor Services located in Qualicum Beach,BC. E.C.H.O. Players Village Theatre is a non-profit society of dedicated members of the community. 250 286-0809 -	Eagle Eye Adventures Tours offers Whale Watching, Wildlife tours and of course our magnificent Grizzly Bear Expeditions. 250 586-0099 -	Local farmers market located in Errington, BC. Local farmers, and artisans serve the market. 250-937-1379 -	Food truck that roams throughout the Oceanside area, serving everything from burgers to local food. 250 248-2062 -	Family Ford is a car dealership located in Parksville, BC. 250 954-0785 -	Forward House provides adults living with mental health challenges with the support. 250-240-3997 -	We offer a wide range of services; from a dripping tap to a leaking hot water tank, our expertise can solve your plumbing issues. 250 752-6693 -	Giovanni's Ristorante located in Qualicum Beach, BC, Vancouver Island, provides quality Italian dining experience. Take-out Italian menu is also available. 250 248-5051 -	Qualicum and Parksville's local marina, located just off of Lee road. 403 760-3484 -	Publication services located in Banff, Alberta. 778-424-2012 -	The Salish Sea Market is a curated collection of art from the Pacific northwest. Stop by the shop and say hello! 250 753-1124 -	We act as your Chief Financial Officer, in collaboration with your other professionals to help discharge the responsibility of managing your accumulated wealth. 250-248-4211 -	Serving Vancouver Island communities daily with engaging radio programming and personalities. 250 248-8111 -	Isle Golf Cars is BC's largest Club Car golf cart & utility cart dealer servicing Vancouver Island with golf cart sales, service, parts and rentals. 250 725-3919 -	Jamie's Whaling station is located out of Tofino and Ucluelet and provide fantastic whale watching tours. 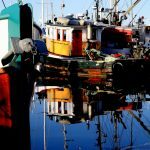 250-248-1410 -	Accounting services within the Qualicum Beach and surrounding areas. 250 586-3800 -	We offer the latest in Coastal Gifts, Home Décor & Garden, Apparel, Accessories, Kids, Men, & Holiday. 250-757-8442 -	The Lighthouse Country Business Association (LCBA) and it’s over 150 diverse businesses represent the entrepreneurial and creative spirit found in abundance throughout the communities of Lighthouse Country. 250-821-7005 -	providing media research, media planning and buying direct to Monsanto Canada Inc.
250-954-3931 -	Morningstar Farm is home to Little Qualicum Cheeseworks and Mooberry Winery - makers of local artisan cheese and fruit wines. 250 752-4554 -	Little Star Daycare and Preeschool Curriculum- Qualicum Beach-based pre-kindergarten, Earth-friendly education. 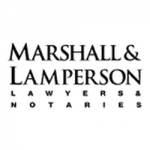 250 752-5615 -	Marshall & Lamperson is your full-service law firm in Parksville/Qualicum Beach. 250 752-6996 -	McIntosh Norton Williams, CPA is a team of trusted accounting professionals dedicated to serving our clients and communities. 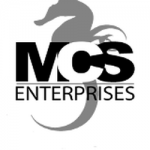 250-752-2218 -	MCS Enterprises Ltd. was founded in 1994. The Company's line of business includes the retail sale of new and used automobiles. 250 248-8189 -	MONK is a west coast Canadian artist with a primary studio on spectacular Rathtrevor Beach. 250 752-9722 -	Our bookstores are a place where people feel a warm, friendly atmosphere and are welcome to stay and browse. 360-457-4491 -	Ferry service that provides transportation between Port Angeles and Victoria. 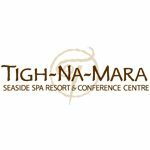 250 752-4800 -	Come and discover our serene spa just outside of Qualicum Beach. 250 248-8534 -	A nonprofit organization that care for injured or ill animals. 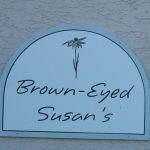 Be sure to check out their care facility! 250 752-5312 -	North Pacific window is a full service glass & window shop. 250-752-5312 -	NuCerity’s unique and patented Breathable Barrier® technology uses the body’s own moisture to deeply rehydrate and rejuvenate skin. 250 752-5518 -	Ocean Crest Motel is located in beautiful Qualicum Beach, “Communities in Bloom.” We offer 19 clean, spacious rooms and friendly service. 250 748-3800 -	Ocean EcoVentures is the most centrally located Whale Watching Company on Vancouver Island with the highest sighting of Orcas and Humpback Whales every year. 250-703-6159 -	The Oceanside Division of Family Practice, formed in 2010, is a local non-profit society of community-based primary care physicians. +1 888-541-2148 -	Visit Harris Oceanside Chevrolet Buick GMC Ltd in Parksville, BC for the best selection and deals! 250 757-2032 -	Quiet, relaxing spaces with all the comforts of home right in Lighthouse Country. 250 752-6227 -	Oceanside Hospice Society staff and volunteers provide community based hospice supports in a team setting with healthcare professionals. 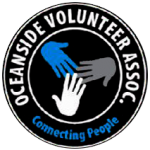 250 594-2637 -	The Oceanside Volunteer Association is a community resource assisting volunteer organizations. OWBN is a great opportunity for women to collaborate with other like-minded business women. 250 594-0108 -	Oceanside Yoga Centre Welcomes you to balance your life with yoga, a time tested tradition that brings harmony to mind, body and spirit. 250-726-3509 -	Come enjoy the beautiful west coast trees and beautiful ocean views. 250 248-6764 -	Parksville and Qualicum Beach's local office supply, print shop, and photocopy centre. 250 248-3281 -	We carry a large inventory of quality new Chrysler Dodge Jeep cars minivans SUVs, including new Ram trucks and pre-owned used cars. 250 248-8079 -	Dedicated to promoting and enhancing Parksville Downtown. 250 752-3011 -	We offer the best products to compliment your lifestyle and the perfect gift for every occasion. 250 752-8786 -	18 Hole Golf Course located in Qualicum Beach, BC. 250 752-7202 -	Our work is to help build vibrant communities by cultivating community capacity. 250 586-6677 -	PQB Dental Clinic provides the Parksville/Qualicum area with excellent dental services. 250 752-6162 -	Curling centre located in Qualicum Beach, BC. 250 752-5533 -	Come find yourself at the Qualicum Beach Museum, which includes a schoolhouse, palentology and local history. 250 752-3341 -	Bowl all summer outside on our fabulous greens and all winter indoors on full size rinks. 250 752-3212 -	Well-equipped physiotherapy clinic with 4 physiotherapists available for fast service. 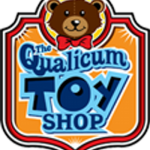 250 752-1937 -	Unique and different games, stuffed animals, beach toys, kites and more. 250 594-3786 -	Watercolour painting by Greg Swainson of Victoria BC Canada. 250-594-3686 -	Helping you to navigate financially in a changing world. 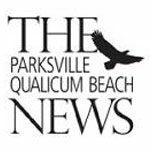 Recreation and Parks services for District 69, including Regional Parks, Ravensong Aquatic Centre in Qualicum Beach and Oceanside Place in Parksville. 250 951-1019 -	Rely on Riera for your real estate needs in the Oceanside area of Vancouver Island! 250-752-2466 -	Darryl Weigand is a RE/MAX real estate professional in Parksville, British Columbia. 250.951.6531/250.752.2466 -	A LIFESTYLE decision must also be a SMART INVESTMENT decision. 250 248-8290 -	Riptide Lagoon Adventure Golf offers mini golf with west coast scenery as well as bumber cars and arcade. 250 248-3134 -	A campground which includes full-service RV sites, as well as tenting. 250 752-9526 -	Family Law, Real Estate, Corporate Law, Wills and estates. ICBC and injury claims - settlements, mediations, trials. 778-285-9700 -	Together with Homes & Land, you’ll reach the largest, most qualified home buying audience. We syndicate your properties everywhere across the web, to mobile devices, in our quality magazine, and through targeted direct mail. Baking Services located in Qualicum Beach. 250.752.6926 -	Realty Services in Qualicum Beach. 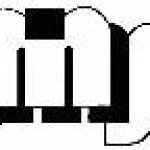 250 248-4321 -	Realtors/Real Estate/Property Management. 250 752-9111 -	The Shady waterfront restaurant and pub on Qualicum beach is perfect for casual lunch or a romantic dinner with the finest quality food and service. 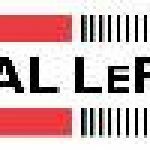 250 752-9121 -	Land surveyors for residential & commercial properties, as well as subdivisions; land use consulting. 250 248-2093 -	Society of Organized Services is a volunteer based non-profit organization helping people improve their lives by offering services and resources not otherwise adequately provided within the district..
250-954-9295 -	Providing beautiful entry-floor mosaic, furniture or counter insets, back-splashes, trim tiles, or some other creation out of stone. 250 726-7336 -	Zodiac or motor boat whale watching or bear watching tours from Ucluelet. 250 738-2000 -	TD Canada Trust is located right in Qualicum Beach, providing services for all of your banking needs. 250 594-1150 -	Thalassa is Memorial Golf Club's restaurant which provides a unique dining experience with spectacular ocean views. 250 752-5708 -	Casual Waterfront Dining - burgers, fish and chips plus over 40 flavours of ice cream! 250 752-2522 -	Wonderful selection of second hand books from the classics to your favorite modern author in hardcover and paperback. 250 752-2818 -	Boutique Retirement Living which is located in the picturesque beauty of Qualicum Beach. 604 924-9771 -	The Nature Trust of British Columbia is dedicated to conserving BC’s biological diversity through securement and management of ecologically significant lands. 250 248-8823 -	"Smiles in the aisles for YOU!" 250 248-2408 -	Tiger Lily Farm is a family farm, which offers horse trail rides, farm animal interactions and gift shop. 250 954-0014 -	Offering commercial web site design and hosting services. 250 338-1935 -	Year round Vancouver Island fishing charters for salmon as well as bottom fishing, prawning and crabbing if desired. 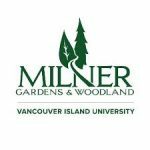 250 753-3245 -	The Parksville/Qualicum Campus of Vancouver Island University offers adult basic education, community education, university transfer and career programs to a large region which stretches from Bowser to Nanoose. 250-228-6733 -	Construction services located in Qualicum Beach, BC. 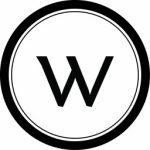 250 752-6961 -	Waypoint Insurance Services Inc is owned and operated by employee shareholders and is one of the largest independent insurance brokerages in British Columbia. 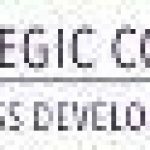 250-927-2156 -	Offers procurement expertise to smaller organizations that do not have a purchasing specialist on staff and assist larger organizations with project specific procurements. 250 248-5859 -	Yates Memorial Service is a locally owned and managed company with two locations on Vancouver Island. 250 752-6312 -	Beautiful nine hole golf course located in Qualicum Beach, BC. 250-248-2625 -	Committed to building a strong economy and a bright future for Qualicum Beach and Parksville. 250 752-5100 -	A team of Discretionary Portfolio Managers, Financial Planners & Insurance Advisors serving clients in the Oceanside community. 236-255-1027 -	By massaging as many of these points as possible, the body is able to relax, rejuvenate and allow the body to heal itself. 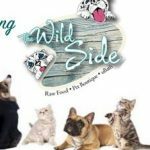 250594-9980 -	A unique pet boutique, specializing in raw food and pet nutrition. 250 954-1401 -	We take pride in providing you with everything that you may need for a successful worry-free indoor or outdoor gathering anywhere on Vancouver Island. 250-752-4400 -	The Casa Grande Inn is located at the heart of Vancouver Island on the scenic Oceanside Highway, minutes from picture perfect downtown Qualicum Beach. 250-616-6604 -	BC’s largest independently owned and operated office equipment sales and service organization.